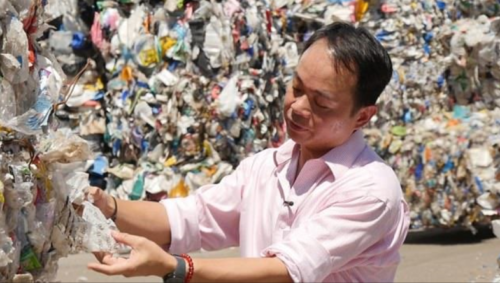 IDJ has sent this Daily Mail, UK, article which suggests an additional reason why Hong Kong’s landfill sites are filling up as outlined in our recently posted article, Waste collection, disposal and management in Hong Kong – initial notes, linked below. “Thousands of tons of plastic collected for recycling from British homes is being shipped and dumped on sites across the world. A huge amount of plastic rubbish is being sent overseas on the basis that it will be recycled and turned into new products. However, much of it is being dumped or buried from Poland to Hong Kong and Thailand, according to a new investigation. Every year British households throw 22 million tons of waste into the bin. Recycling rates have stagnated at some 44per cent and the UK is unlikely to hit a target of 50per cent by 2020.